Internet and its allied technologies are evolving at a very rapid pace. The ability for a business to take advantage of these new opportunities depends on its approach and available web services. At Whitehats Design, we keep on adding new and more effective web development services to ensure that your business requirements have been adequately met. These advanced web services ensure that you get cost optimized and improved interactions for your customers. 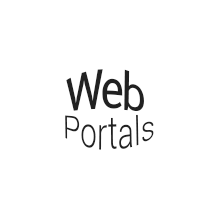 What are Web Portals ? Web portals are internet based applications that you can access using a browser. There are different functionalities within web portals made available as per the requirements of a business which may include information, carrying out a process online or completing any other task. Web portals are usually rich online mediums in which more business applications can be added to automate or ease the processes. You can easily create an online community using a web portal. They can also be used to exchange valuable information for any organizational purpose. A web portal usually services any of these four functionalities including portal management, web services, content delivery and user interface. The value delivered to the end business users ensures all these elements are optimally combined. Whitehats Design is a Dubai based web portal development company with highly experienced web portal developers. Web portals are one of the many solutions that we offer to our customers. Every project for web portal designing and development undergoes a lot of technical evaluation. A standard web development methodology is used to ensure all the projects assigned are completed satisfactorily. The web portal services offered by Whitehats Design assist you in automating the business processes. Why Web Portal Solutions ? Whitehats Design is a web portal development company. At Whitehats Design, we know and understand the importance of information including the various processes used for its storage and retrieval. Organizations nowadays use web portals for many reasons. The first reason is that a lot of business owners want their business brand to have greater visibility. Modern web portals offer many value for money features to the end users. These innovative features and functions enhance user experience while improving the quality of online interaction. There are many different ways in which you can use a web portal for your business advantage. The increase in demand of web portals is always on the rise because of these factors. You can improve the level of communication in your organization and integrate various applications. There are many fine examples of how web portals have helped business organizations grow and take advantage of their unlimited features for stocks, travel, jobs, educational purposes, real estate, and news. The type of web portal that you want is only limited to your own imagination. One of the best things about getting our web portal development services is that we are able to provide you with a solution which easily fulfills your business requirements. At Whitehats Design we work on providing you with a single access point to different information resources. All the data is centralized at single place to be easily provided to the intended users. Users can unite data sources, view content and applications. We provide web portals for wide range of business applications. Here is why you need to get web portal design solutions from Whitehats Design. The web portal designs offered by Whitehats Design are mobile friendly and can be accessed from anywhere. You can use the web portals via smartphones, tablets, and PCs. The web portals provide you with the access to make changes to the content and utilize all the services available to the end users. Our web portal solutions are also optimized for local accessibility. A synchronized web portal provides relevant content to the end users without any problems.  Whitehats Design understands how various IT technologies automate the business processes. We provide you with web portal solutions that support multiple data sources and applications. All our web portal designs can be easily integrated with other third party applications to enhance their functionality and usability. Some of the typical examples of these third party integrations into web portals include web services, news feed, payment gateways and social networking sites. We strongly believe that you deserve the best IT web development services. This is why we rely upon robust portal architecture with highly optimized deployments and configuration services particularly in a corporate environment. Our web development team has years of experience working with different virtualization technologies and hosting applications. At Whitehats Design we ensure that portals are able to manage high loads by implementing balancing techniques, optimizing database performance, and programming best-practice patterns. When developing web portals we take special care to maintain information security. The access to data is restricted to the authorized users and you can actively manage their roles. The support for SSL ensures security of sensitive information exchanged online. We also implement data encryption and digital signature solutions. Our development team remains updated on the latest information security techniques to protect confidentiality of sensitive information that you share inside or outside the organization.